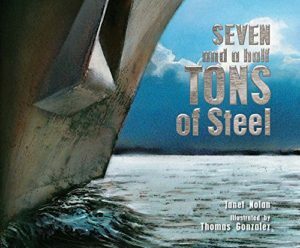 Yesterday (August 1) an inspiring picture book released into the world — SEVEN AND A HALF TONS OF STEEL (published by Peachtree Publishers.) This gorgeous book shares the true story of a powerful event in recent history that is filled with hope. 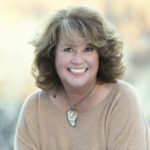 To celebrate this release author, Janet Nolan, kindly agreed to answer a few questions about her new book. 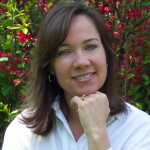 Janet, so thrilled you could join us at Picture Book Builders! Your new title, SEVEN AND A HALF TONS OF STEEL, shares an incredible story. Can you tell us what the story is about and how you originally got the idea for this book? I believe the USS New York is special – not only because of the seven and a half tons of steel in its bow – but because of the men and women who built and serve on it. The ship’s motto is “Strength forged through sacrifice. Never forget.” I believe the USS New York is more than a navy ship. It is a testament to hope, rebuilding, and redemption. Can you share a bit about your research for this nonfiction picture book? I knew almost nothing about forging steel or shipbuilding when I began researching this book. I conducted phone interviews, read every news article I could get my hands on. I watched countless news clips and videos, and was a frequent visitor to the ship’s website. I have to say I was touched by the generosity of the many librarians and retired military who were willing to guide me in the right direction and answer my many questions, big and small. Did you know right away how you wanted to tell this remarkable story, or did you write up several different versions before you found the way you wanted to share it? I think I always knew the core of the story was the seven and a half tons of steel. The book begins with the events of September 11th and the outpouring of emotion at ground zero, but when the beam leaves New York the story follows. I didn’t want to write a book about the tragedy of September 11th. I wanted to write a book that told a different story, one of hope and rebuilding. I also had to be sensitive to the passage of time. For my readers, this is a history book. September 11, 2001 and Hurricane Katrina, which is also mentioned in the book, are historical events that occurred long before my readers were born. Thomas Gonzalez created such wonderful, realistic illustrations for this book. The illustrations are gorgeous. Can you share a few thoughts on those? Thomas Gonzalez is amazing. The first time I held the book in my hands I cried. The illustrations exceeded my imagination. They’re captivating, emotional, and honest. Every aspect of the book, from the cover to the end pages, is beautiful. I feel incredibly fortunate to have had such a talented and compassionate artist illustrate the book. Thanks so much for the interview, Janet. I love your new book, and it seems reviewers do too! Janet Nolan, Peachtree Publishers, Seven and a half tons of steel, Thomas Gonzalez. Bookmark. I can’t wait to read this book. Thanks for putting it in the PBB spotlight! Hi Traci! I think you’ll really enjoy it! Yes, it’s so inspiring how she highlighted the redemption in this tragic event. Thanks for stopping by! What an inspiring book. I can’t wait to read it. I can only imagine how much research went into it and how she focused the story is beautiful. Thanks for bringing this to our attention. Hi Susan, Hope your writing is going well! Yes, this is a great story about a wonderful, little known event that readers of all ages will enjoy discovering. I am excited about this book and what it will mean to young readers as well as older readers like me. Focusing on hope and rebuilding is a very good thing and I will be inspired as I read this book to my grandchildren. It would make a great story to share with grandchildren. Enjoy! Thanks for sharing the back story on this amazing book. I’m so glad that Janet wrote it! I’m glad she wrote it too. Such an important story of hope and redemption. This looks like a beautiful book with an inspiring story to tell. Can’t wait to see it. You will love it, and Thomas’ illustrations are incredible! Sounds like an amazing book! Can’t wait to read it! Yes, amazing story, and Janet shares it in such a sensitive, yet honest, way. Enjoy! “Never Forget.” Every teacher needs to get this book. I agree. Great title for teachers! I’m looking forward to reading this book. Books about hope feel particularly relevant today. Thank you for sharing this story. You are so right. We could really use some hope and redemption in our world today. Excellent interview, Suzanne and Janet! Can’t wait to read this book! Glad you enjoyed the interview, and I know you’ll enjoy the book! What a powerful story and gorgeous book! Thanks, Suzanne and Janet, for a peek behind the scenes. Thanks for taking a peek with us! Oh, Janet, so proud of this book! It’s an important and powerful story, thoughtfully brought to young readers. Thanks for sharing this with us, Suzanne. Thank you for your inspiring book, Janet, and for sharing the story behind the story. The world needs this book right now. More than ever. Wonderful creativity in the portrayal of true history. A story that has become a work of art transforming the reader to hope for more. Greatness… Thanks for the good read!! Thanks, Suzanne, for your interview. I learned a lot that I didn’t know from it. I look forward to reading the whole book. You’re right the illustrations are beautiful. I’m glad that you were able to focus on the positive. Thank you for sharing this, Suzanne! I love hearing where an author’s idea comes from and where it takes them on their journey to build a book! I missed this earlier, Suzanne, but wanted to thank you for sharing about this book! The art seems so incredibly perfect for the story — I’d love to find out sometime how the art director/editor came to pair this artist and writer together. So inspiring. As a former New Yorker who lived in NY at the time of 9/11, I got chills. Thanks for sharing! This looks great. Thanks for doing the research. I didn’t know about them taking parts of the World Trade Center and using it to make the ship. I agree about most of your readers being born post events of the bombing and Hurricane Katrina. It’s weird to experience the history then realize that others don’t know about it unless we tell or teach them.